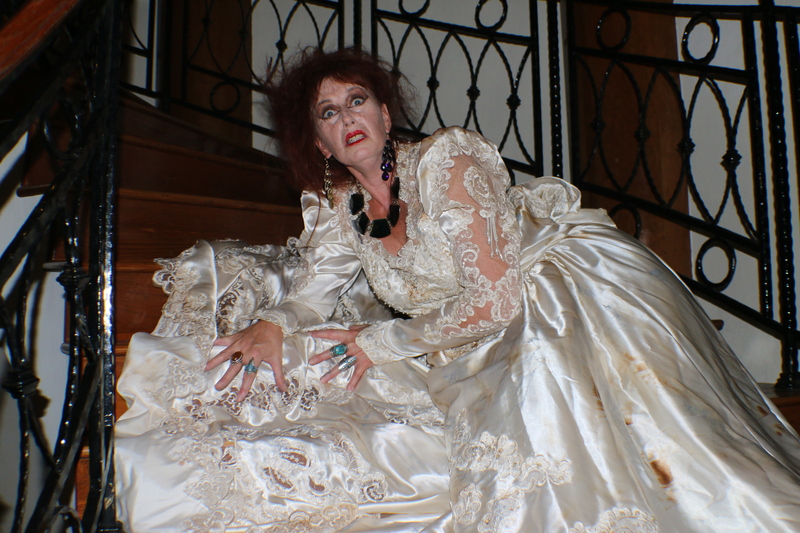 Louise Ballantyne, as blushing bride Miss Havisham in Greater Expectations. My show What the Dickens! will be presented at The British Club in Singapore on 13 September 2014 (see link to poster). Directed by Susie Penrice Tyrie and featuring The Twisties (Louise Ballantyne, Owen Belliveau, Carol Camoens, TJ Taylor and Varsh Victoria), What the Dickens! is a night of delicious entertainment, comprising three servings of bite-sized theatre inspired by favourite Dickens’ novels. Presented exclusively for members of The British Club, the evening begins with Oliver With A Twist, a dark and hilarious take on our modern obsession with food. This is followed by Greater Expectations, a tasty re-interpretation of the relationship between Pip and Estella. Come dressed as your favourite Dickens character and enjoy a Dickensian-style three-course meal. We congratulate The British Club Singapore on being named 2014 Exclusive Club of the Year, and are proud to be partnering with them for this event. Ten-Minute Treats offers a variety of tasty entertainments on hand, (not all food related) or we can write and perform a show that is to your taste. We are available for corporate functions, private parties, flash-mob events in restaurants and performances in theatres. Tell us your story and we will turn it into a 10-minute treat.